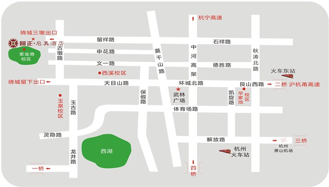 During the CIE D2 meeting（9.22 and 9.24-9.26）, there are free shuttles between the Dragon Hotel and the Yuanzheng • Qizhen Hotel. All registration fees are in RMB￥ (CNY). A fixed exchange rate, and thus invoices, to EUR and US$ will be available as of May 1, 2012. The attendance of Jubilee show is voluntary. Changes of names received until August 15, 2012 can be processed for free. After that date, the change of name will be processed at an administrative charge of RMB￥300.00. Fees that have been forwarded too late may not have been credited to the conference account when the meeting starts. To avoid double payment, please make sure to bring a copy of your receipt. PLEASE NOTE: Down-payments cannot be accepted. In case the full amount of your registration fee has not been received by the respective deadlines, the next higher registration fee category will automatically become effective. The fees can be paid by EUR, USD or CNY(RMB￥). All the prices are in CNY. Fixed fees in EUR and USD for invoice in one of these currency will be available after May 1, 2012. Account Holder: HANGZHOU EVERFINE PHOTO-E-INFO CO., LTD.
All bank charges for the transfer service have to be paid by participants. A 4% commission charge is required. An e-mail of confirmation will be forwarded to you as soon as you have completed your registration. The paid registration fee minus an administrative charge of RMB￥300.00 will be refunded for cancellations received by Aug.15, 2012. 50% of the paid registration fee will be refunded for cancellation received between Aug. 15, 2012 and Sep. 1, 2012. No refunds can be made for cancellation s received after Sep. 1, 2012. Cancellation must be submitted in written by e-mail to cie2012@everfine.net or by fax to: +86-571-86696433.